December 2013 – on my way: make it someday. me! heading out of the gate in qualifying. photo: Adam Glueck. Of course, one of my first days back in the States for Christmas I headed up to the Northeast Kingdom. 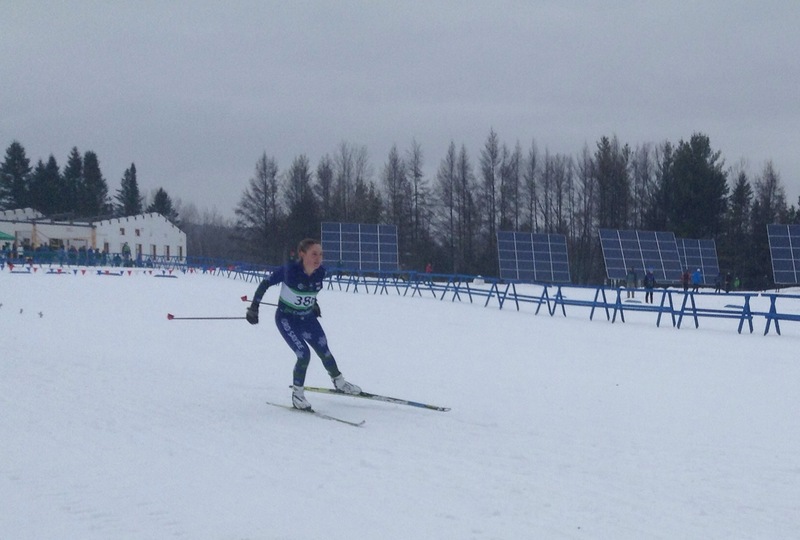 Craftsbury. My old home. For years and years I have gone to the opening Eastern Cup races of the season, first at Trapps in Stowe, then up in the County in Maine, then in Craftsbury. I’ve worn many different hats (and suits) but I’ve pretty much always been there. This year was no different. With Ford Sayre facing a coaching shortage because of various people traveling, I was super psyched to lend a hand with my old team. I’ve helped out with Ford Sayre a lot in the past, though not nearly as much as they have helped me. My first year of college – the first year out of the program – I signed on as an assistant coach on the team’s trip to Norway. I’ve been helping out here and there ever since. In the past few years my coaching and leadership chops have gotten better as I’ve put things in a little more perspective. It helps not to be fully consumed by racing yourself! So, on Thursday, I had gotten about 3 hours of sleep when I left Davos for Zurich, Zurich for Dulles and a sprint through the airport, Dulles for Boston, and eventually Boston for home. 24 hours of traveling. Saturday morning I woke up at 5:20, which seemed not that bad because I was still on European time, and drove up to Craftsbury. The roads were a little sketchy and icy. Fun times! I arrived a little before the Ford Sayre crew, who had stayed in Barton the night before. But eventually they arrived. This year there were just a few kids racing, almost all freshmen in high school. Scottie and I took them around the sprint course, talking about strategy and how to ski each section, answering a million questions. The kids’ approach ranged from focus and planning, to ADHD focus and planning, to ADHD distraction. I loved them. It might be my favorite group of Ford Sayre kids I’ve worked with. Okay, that’s hard to say, I love them all, but seriously, these guys are great. They are a lot of fun, and they aren’t intimidated by much, and they are eager to learn and go and do. Coaching is a joy (even when it became “Chelsea Little’s ski delivery service”, running to the starting pen with race skis because I was afraid the kids would forget to pick them up otherwise!). It was also my turn to race, eventually. I headed out of the start box, not feeling like I was skiing very well. It had started to rain. But then I zoomed down a hill, tuck-skating and gathering momentum, and boom! pop pop pop over the top and swooping down again. I shot partway up Dinosaur Hill. My goal had been to use my time on snow so far this year to my advantage, skiing the terrain efficiently and getting the most momentum I could out of every transition. I was definitely doing it. So what if every time I hit an uphill I came grinding to a halt? Living in Munich and going for 30 minute runs every other day doesn’t prep you well for climbing on skis. Also, my skis were incredibly fast. I got them from Caldwell Sport and geeze, thanks Zach. Best skis I’ve ever had, by a mile. (As my mom said when I arrived home: “isn’t it kind of too bad you never had skis this nice when you were actually racing seriously?”) I felt like I was cheating, because my speed wasn’t coming entirely from my own motor. Anyway, I finished, headed back to get dry clothes, got distracted talking to a million old friends. I finally ran into Judy Geer when I was almost out on the trails, and she happened to have a copy of qualifying results in her hands. I asked to take a peek. “Chels, you made the heats!” she said. Well, THAT was unexpected. Sprinting requires a fairly specific kind of training, which I definitely haven’t done in about three years. I mean, these weren’t super elite races, but still. Last year I didn’t even come close to qualifying when I did this race last year. But here I was. I ran back to the tent, realized that it had been 45 minutes and I had neither cooled down nor eaten anything… broke the news to my stunned team, and got on things. Long story short, I had a great start to my quarterfinal heat but crashed soon afterwards, getting tangled up in someone else’s skis when I tried to move over and get off the outside lane. I haven’t skied around people in a while, definitely not at top speed, so I was probably a little overconfident in my own ski-handling and definitely way overconfident in the rest of the field’s. This isn’t the World Cup, where you can just slot in right behind someone. The thing is, my main connection to skiing the last few years has been not from doing it myself, but instead from watching the World Cup. You get some unreasonable expectations for how things are going to work. I crashed just before the first downhill, which was unfortunate because the rest of the field got that momentum before I even really got up. With my rocket skis I came within 5 meters of catching up on Dinosaur Hill, but then I got really tired. Finished dead last. Walked it across the line. If this had been the World Cup I would have waved to the crowd, like, “that was fun, thanks for your cheering and I did the best I could if not for that stupid crash.” This isn’t the World Cup though. It’s an Eastern Cup. I’d been beat by some college kids and another old lady like myself. By then it was really pouring – I was soaked through completely, spandex stuck to me – and I managed to cool down for real. We stuck around because one of the kids was in the J2 heats, so we cheered like maniacs. One of the high points was actually watching one of the kids I used to coach in BKL back when I was at Crafstbury, Anders Hanson, ski like a boss in the J2 heats and finish third in the final. He’s come a long way and it was incredible to see. I had a great dinner with the team (and made chocolate cake with lots of candles to celebrate the solstice), and we woke up the next morning to a crazy ice storm. Basically, no power, no heat. We told the kids to go back to bed and almost 2 hours later learned that the Sunday race had been canceled. Bummer. I was psyched for the 10 k classic and had a much better seed than the previous day, when I’d had no points and started fourth-from-last, hardly advantageous. It would have been fun. It was so icy on the interstate that we couldn’t leave immediately, but had to hunker down for a few more hours before we dared test the roads. I also had to cancel plans to visit friends in Craftsbury and then spend the night with other friends in Hardwick. But probably for the best, I needed to work on my thesis so that’s what I did when I got home! Anyway, it was a great weekend and brought back a lot of memories. It’s the first time I have races in the full Ford Sayre suit in many, many years. I now have no other team to train with (well, no team at all) and I am thrilled to be able to rep them. The program is very young so it was important for people to see their suit in the senior heats, and I was definitely the only way that was going to happen. More than being surprised to make the heats, I was pretty proud I could do that for them. It has been more than 10 years since my first race for Ford Sayre, which I was thinking about too. In January of 2003 or so, I went to my first Eastern Cup, but I wasn’t even good enough to race. I skied around with Dennis and worked on just learning to ski. Making it 5 k felt like a huge accomplishment. To be able to waltz back in with no serious training, a thesis due in 10 days which I had been putting off to do work on my part-time job, no sleep, jet lag, etc… and somehow make the heats, well, in a way that feels like an even bigger change then the days when I was training full-time like an insane person. It was fun! Gotta run but wanted to post an update from a super fun weekend! 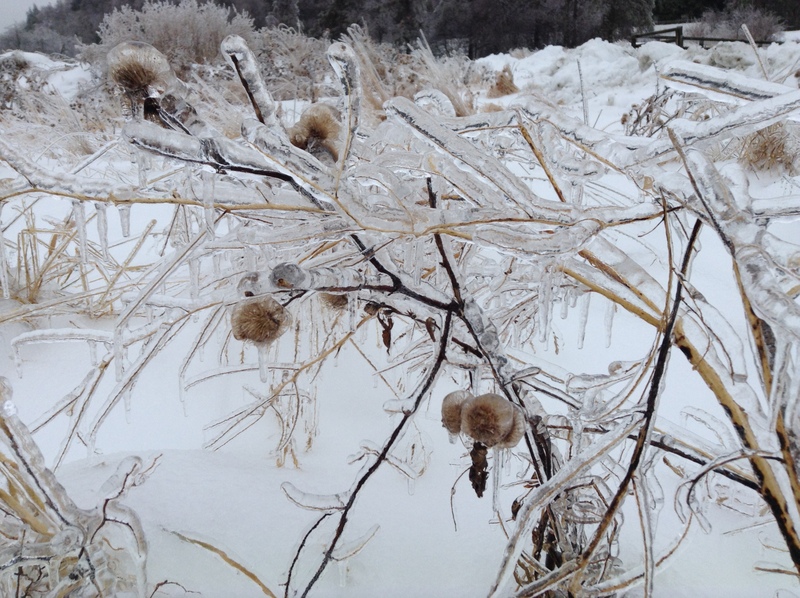 You can read the team’s blog about the sprint day here and about the ice storm here.